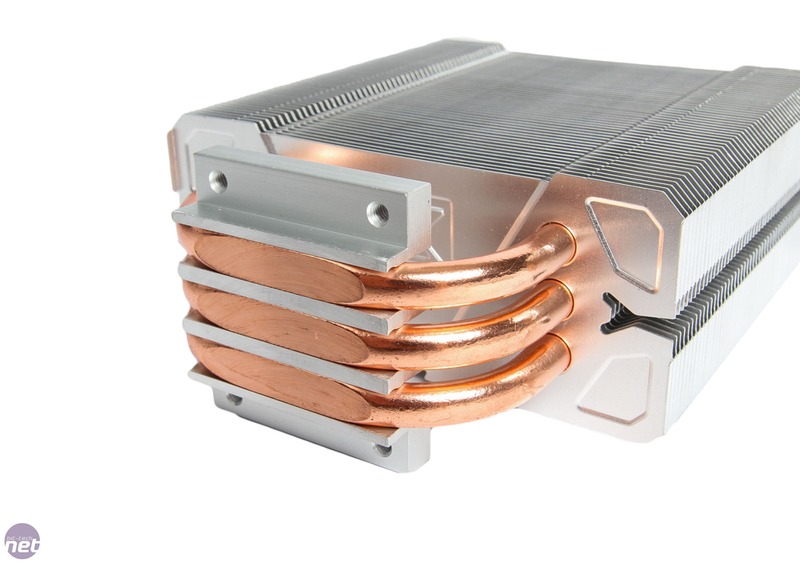 If you're on a seriously tight budget for your new cooler or PC as a whole, there are plenty of ways to cut costs. 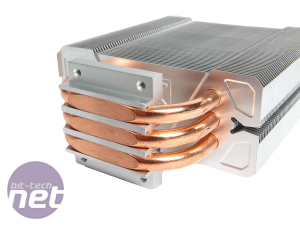 We'd never recommend opting for an unknown brand of PSU and many cheap cases can be pretty dire too. 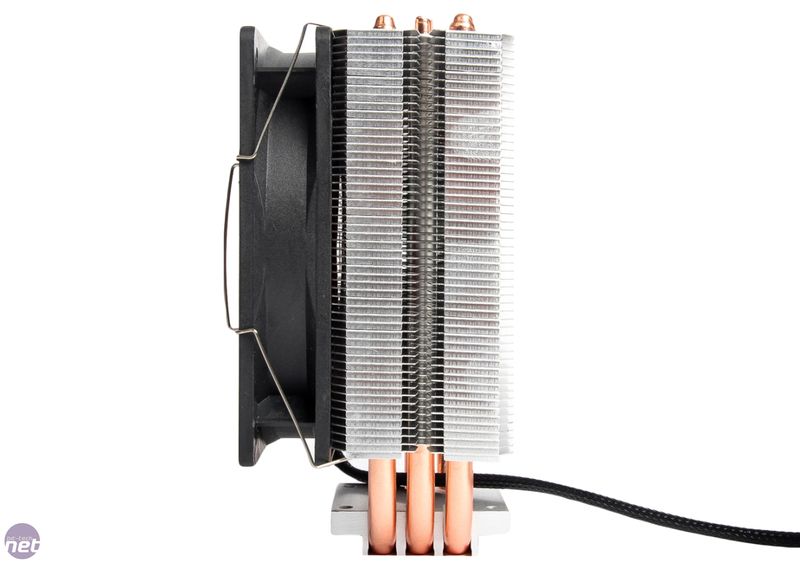 However, there are plenty of good cheap coolers out there. 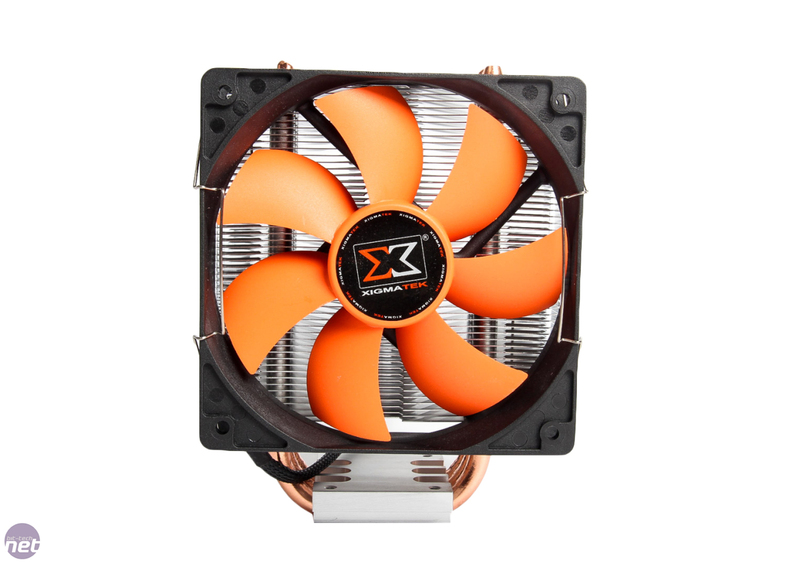 We say cheap - Xigmatek's Gaia II still costs £23 before postage but that's a heck of a lot less than most all-in-one liquid coolers and large premium air coolers from the likes of Noctua or BeQuiet, for example. 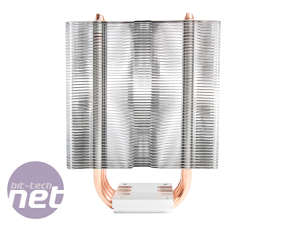 Performance wise, some of the cheapest coolers we've seen have also performed very well. 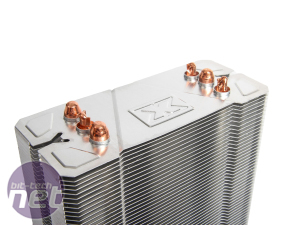 SilverStone's Argon AR01, for example, is the cooler to beat in the sub £25 price bracket - not only did it manage to keep up with some of the smaller all-in-one liquid coolers we've testet, but it tamed our old LGA2011 test system too. 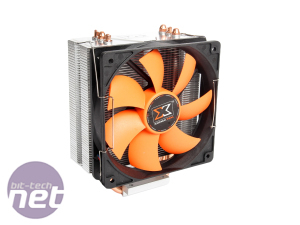 So, what do you get for the small sum asked for Xigmatek's budget cooler? 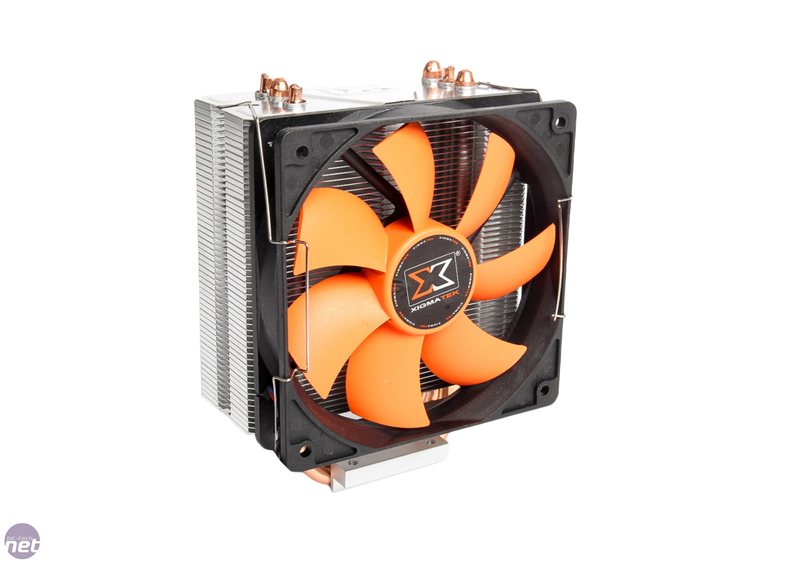 It's unsurprisingly a single fan affair but it's a larger, more substantial cooler than the dinky Loki II we looked at recently. It uses the same fan retention clip method, though, but was a little easier to deal with and we had no problem installing the Gaia II without removing the motherboard. The clips hook into the heatink then you need to pull them up and over the fan where they click into place. You'll need to watch their proximity to the fan blades, though, as our first mount ended up with one of the clips landing slightly in the path of the blades. This is mostly down to the clips being rather bendy but it's otherwise a fairly painless affair. 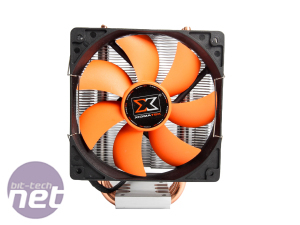 The fan itself sports a 4-pin PWM connector and has a rated speed of up to 1,500rpm so isn't particularly powerful, with Xigmatek stating a maximum noise level of 24 dB(A). 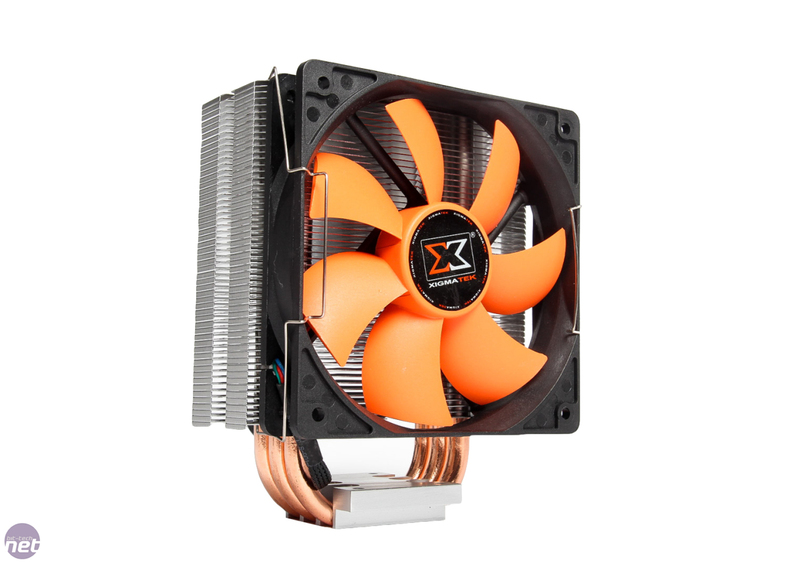 We do like Xigmatek's colour scheme here and it really livens up an otherwise bland looking cooler. 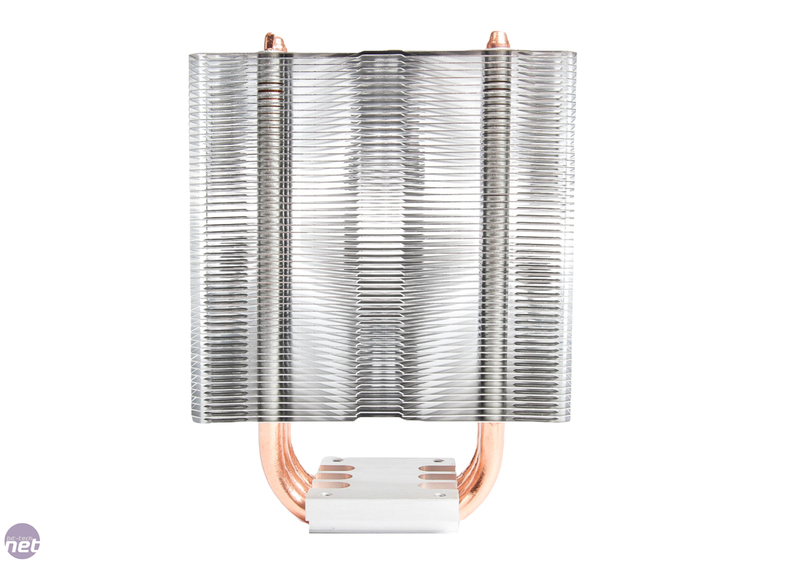 The heatsink itself stands 159mm tall and sports three 8mm heat pipes. 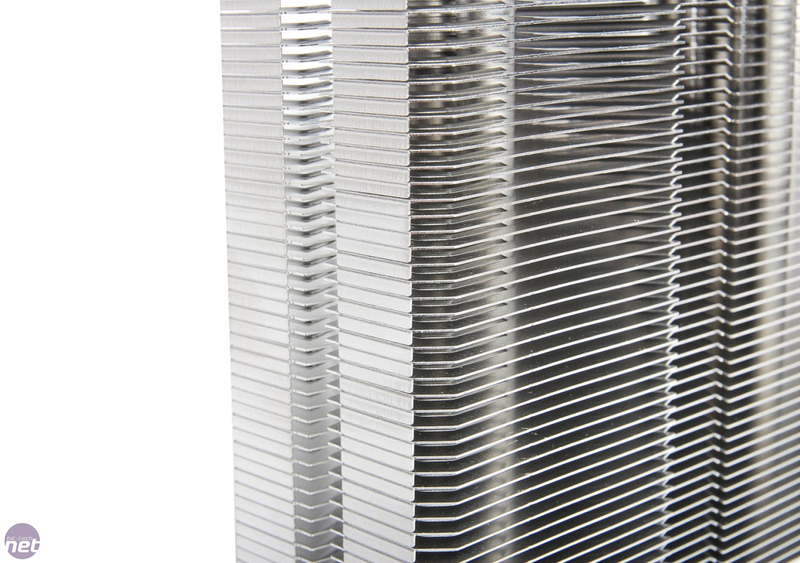 These have been machined flat on the base and make direct contact with the CPU heatspreader. 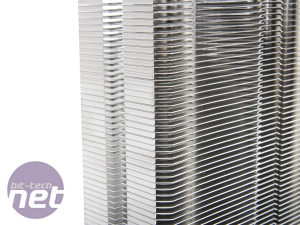 They're surrounded by a small mounting plate, onto which you screw the installation brackets for AMD or Intel sockets. Both of these use an identical mounting mechanism - there's a backplate through which four pins protrude and pass through the motherboard. 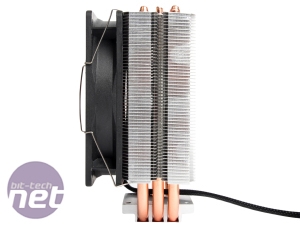 They're then secured on the other side by four large nuts that support the cooler mounting plates while the cooler sits on top and is then fixed in place with thumb screws. It's a little fiddly and screw heads in the top of the thumb screws would mean less finger grating but as we mentioned earlier, it's certainly possible to install the Gaia II without removing the motherboard. 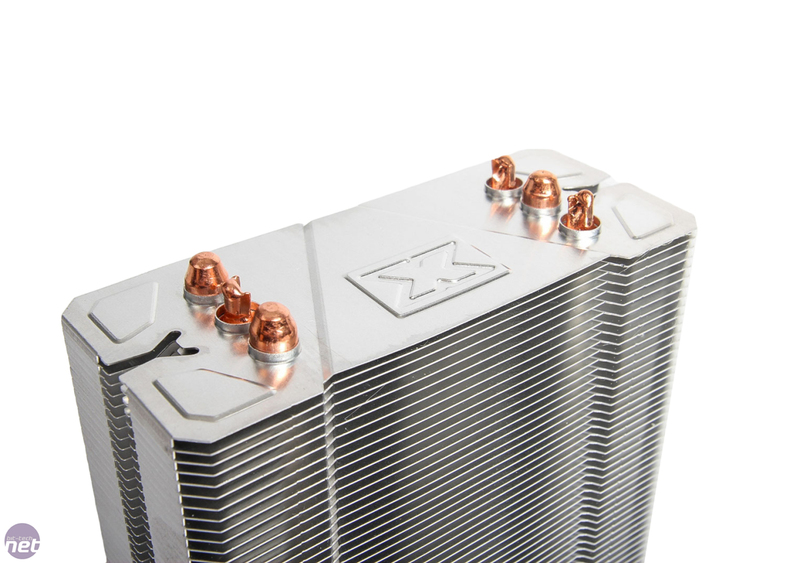 The exception here is obviously for LGA2011 and LGA2011-v3 motherboards, where Xigmatek has included the usual thick, threaded screws for the CPU socket mounts and these act in the same way as the large nuts for the other sockets. It's certainly easier to install on LGA2011 systems too. 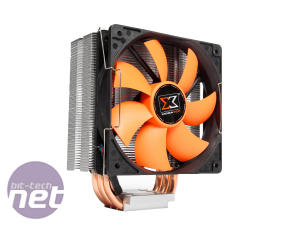 Its dimensions mean that even on comparatively cramped LGA1150 motherboards, the fan sits well outside the memory slots although on mini-ITX motherboards this might not always be the case.